Living with an underactive thyroid, a condition called hypothyroidism can often feel like a vicious cycle. People diagnosed with this health issue can experience signs such as exhaustion, painful joints and weight gain. In such a situation, working out can often be the last thing on your mind. After all, the above-mentioned symptoms like fatigue, inflammation and joint and muscle stiffness and discomfort can surely make you not want to get up and exercise. An important point to consider is regularly exercising and enough of physical activity plays an important role in the efficient management of your hypothyroidism condition. Moreover, working out for 3 hours a week for 3 months can put you in better physical and psychological health and help raise the bar of your quality of life. Below mentioned is a list of fitness training that can help overcome some of the health problems that come attached with hypothyroidism. Walking: One of the most easy-to-do workouts, regular walking majorly facilitates in getting your heart pumping and helps burns about 280 calories an hour. Water aerobics: If you have inflammation in your feet or ankles, some workouts may be sore and painful. In this case, water aerobics can become a go- option in relieving you from distress. The water holds you up, thus lowering the impact on your joints. 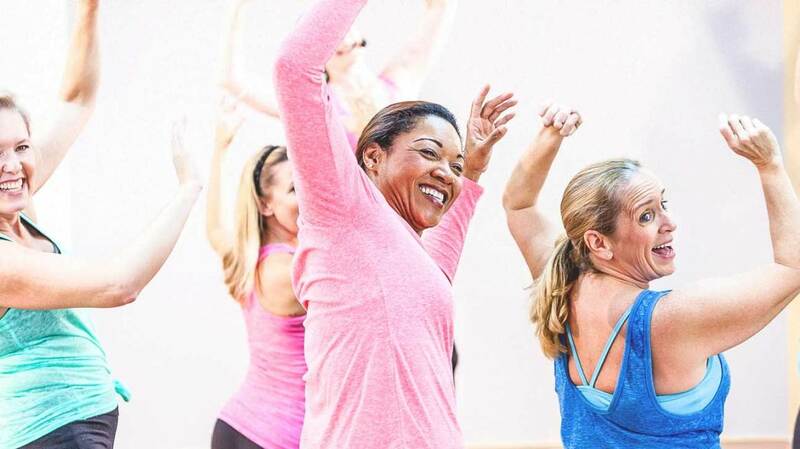 Aerobics for Hypothyroidism – Aerobics or Cardiovascular exercise is beneficial as it works on the cardiovascular and respiratory systems, thus helping to raise the metabolic rate. This in turns helps to break the vicious circle of hypothyroidism and low metabolic rate and also burns fat. Keep the intensity moderate to high. You could step up on a treadmill, cycle, elliptical, swimming or join an aerobic or step aerobics class or even put on music and do it yourself. Yoga: Movements in yoga can help in stretching and strengthening your muscles. It also aids you to focus on breathing techniques. 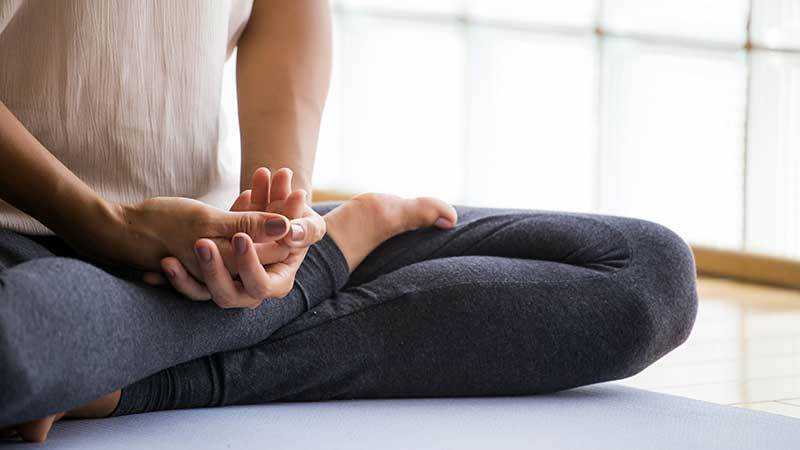 It has been researched that patients suffering from hypothyroidism had better lung strength after performing yoga breathing exercises for 6 months. Cat Pose – This yoga posture facilitates in refining circulation of blood in the spine. Fish Pose – It aids in providing important nutrients to the head, neck, chest and the thyroid gland. Bridge Pose – For those diagnosed with hypothyroidism, this posture benefits in condensing the severity of the signs of the condition, thus recovering the brain functioning and relieving fatigue off legs. Additionally, performing bridge pose eases arms, shoulders, head and neck. Tai chi: Also termed as “moving meditation,” Tai-chi is a slow-motion form of martial arts and is a proven stress-buster. Further, the exercise can aid in improving strength, balance and also uplifts the mood. Strength training and weight-bearing exercises: Whether you lift weights or make use of your body weight, muscle building aids you in burning more calories — even when you’re sitting idle. This can help you shed down some extra pounds. Strong and robust muscles also help ease the joint pressure. Additionally, weight-bearing workouts, such as push-ups, may be very beneficial to those suffering from hypothyroidism to a great deal. If you find it problematic primarily, start performing it with both the hands and knees on the ground. Practicing three sets of ten repetitions every single day is enough. Cycling, swimming and brisk walking are among other low-intensity movements that will be operative in supplementing standard treatment of hypothyroidism and plummeting its symptoms. it raises body s metabolic rate. It raises the body’s metabolic rate. The more muscles you have, the higher your metabolism is going to be and you will burn more calories. An underactive thyroid is bound to cause bouts of depression and anxiety, regular exercise helps to lower stress levels and helps your body make more endorphins. This lifts up your mood and zaps those depressed and nervous feelings.